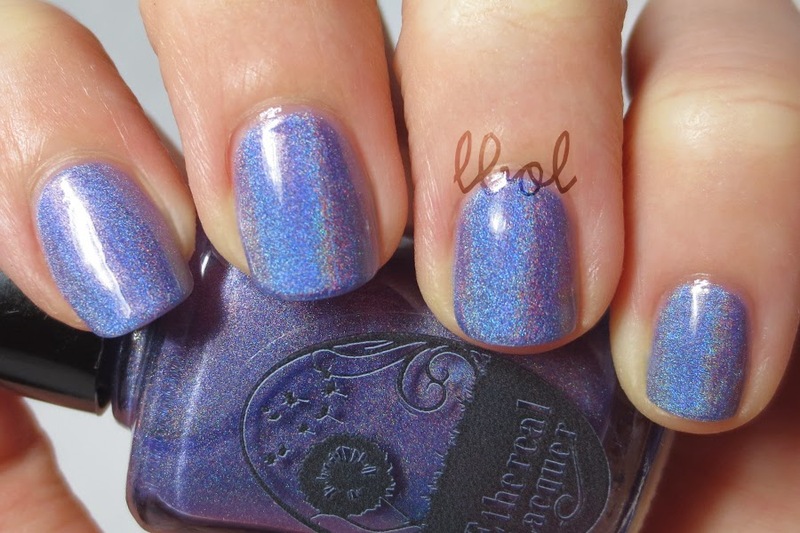 Ethereal Lacquer had a pre-order that had like 12 polishes I wanted buuuuuut I only got one (cue sad Charlie Brown piano song). At least the one I got is super awesome. 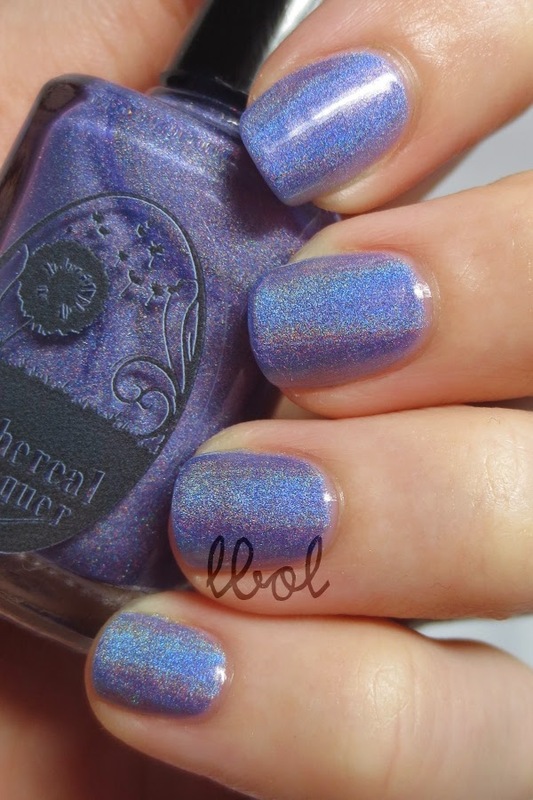 My first Ethereal, Pixie Dust is a delicate, medium-toned lilac with linear holo. A bit on the sheer side with the first coat but building to opacity by the third thin coat, and the formula is delightful. I'm also trying out Duri Rejvacote 2 against my insanely thin and prone-to-ripping nails. I'm using Rejuvacote as the base and also topcoat in the pictures. 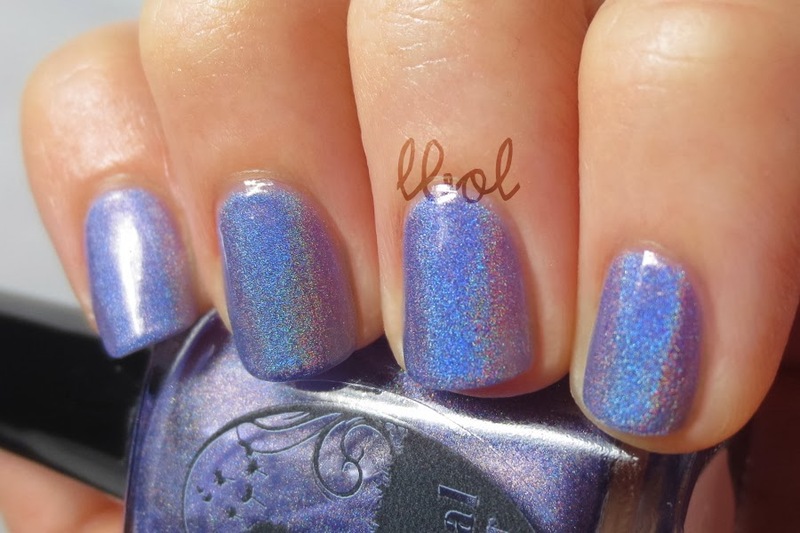 About that linear holo, ay? I love when the rainbow is integrated into the polish base color and not just floating on top of it, unaffected by the hue of the polish. Even in lower lighting, the polish is such a beautiful, airy shade -- light without being pastel -- that I'm so glad I went with this one out of all of the ones I wanted.